Welcome to Day #6 of Chocolate and Mint Theme Week. 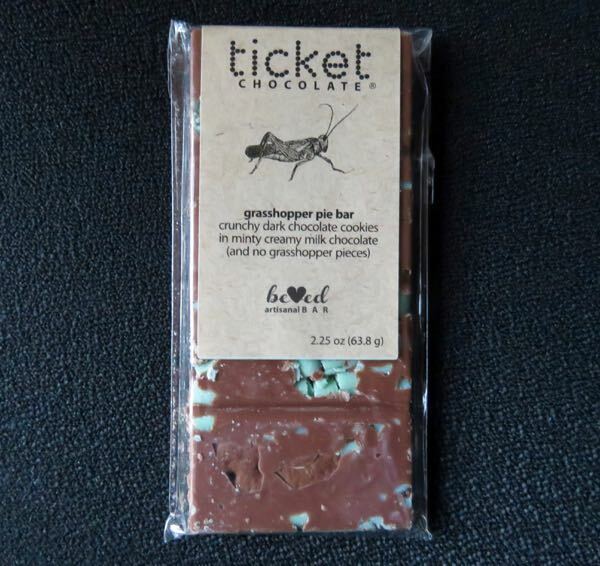 The bar contained "crunchy dark chocolate cookies in minty creamy milk chocolate...and no grasshopper pieces." Unfortunately, this bar also contained gluten (cookies), so only a small bite was sampled. 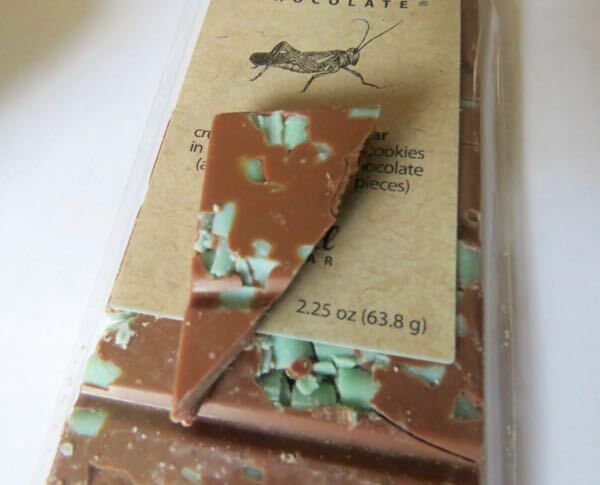 Chocolate cookie pieces added some texture and crunch to a sweet milk and colorful minty green chocolate bar base. *Other Ticket Chocolate "Beloved Bar" flavors with a hint of tribute nostalgia included the Mom's Apple Pie Bar, Waffle Pecan Chocolate Bar, Roasted Chesnut Beloved Chocolate Bar and a Hazelnut Cherry Stuffing Bar.